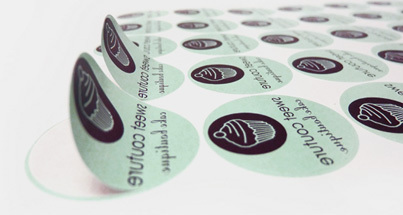 Design and print stickers in a variety of different sizes for special offers, adhesive pricing and address labels or just to stick onto your favourite scrapbook. 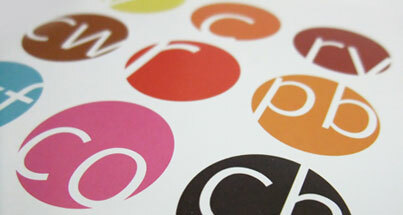 Cards Made Easy offer high quality printed stickers in circular, square and rectangle shapes. Submit your artwork file and we will ensure the result is a beautifully printed sticker or label. We also offer FREE design support for customers in a sticky situation, meaning you get professional results time and time again. 96 x 51mm, 62 x 33mm, 60 x 60mm, 37 x 37mm, 37 & 64mm diameter . Sizes: 37 & 64mm diameter. A range of high quality materials available. Sizes: 62 x 33mm & 96 x 51mm. Sizes: 60 x 60mm & 37 x 37mm. Custom label sizes and special shapes available on request. Please email sales@cardsmadeeasy.com for more info. For small shop owners, stickers promoting special offers can be an invaluable tool for increasing sales. Don't forget to use bold typography and bright colours to really catch the eye of your shopper. Another smart marketing tactic for the small to medium retail sector is to use your pricing labels to promote your companies brand. You can do this by ensuring you use the same fonts, colours, devices and logos as you would on any other company literature. Enhance everyday client correspondence by adding a corporate branded return address label to your parcels and packages. These offer a quick, cheap and easy way to keep your organisation stuck in the mind of your customer.